$744.99 each List: $1,375.00, You Save: $630.01! 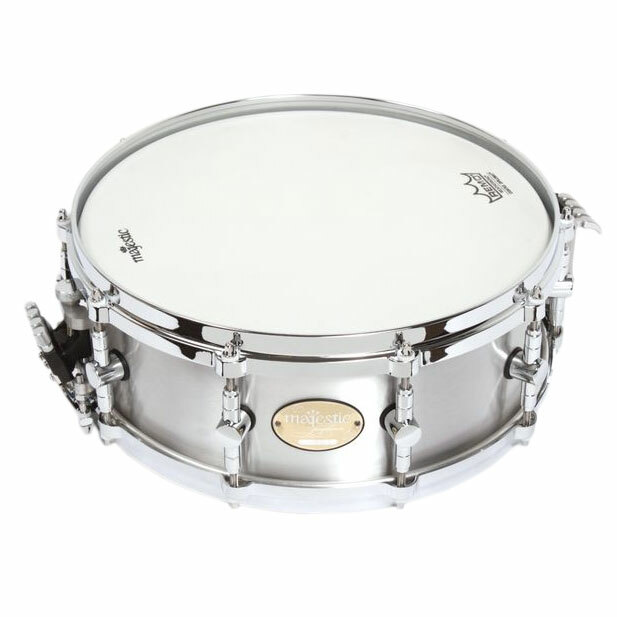 Majestic's 14" x 5" Prophonic Aluminum Concert Snare Drum projects a precise, consistent sound. The coolest part There can be four different types of snare material used at the same time, and can be adjusted at any moment with the throw-off levers.